Winterberry (Ilex verticillata). Aquifoliaceae family. Shrub. Native. Swamps, bogs, wetland edges. Widespread. 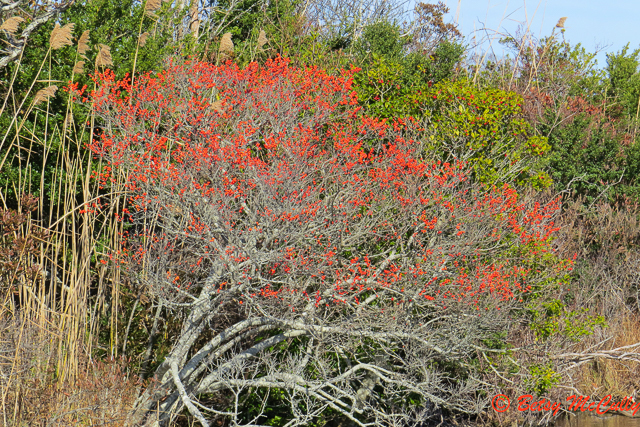 Fruits turn bright red in fall and remain into winter. Long Island, 2017.